Well presented four bedroom semi-detached situated in a popular location close to Long Eaton Town Centre. 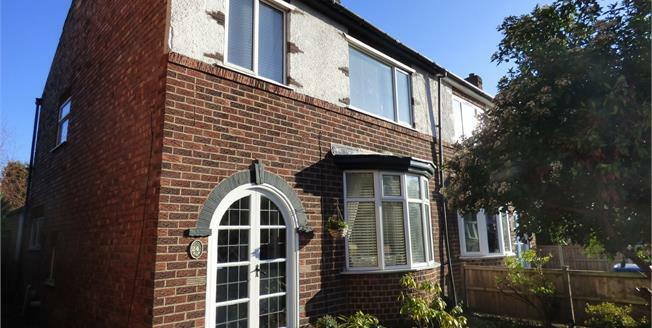 The property offers spacious living accommodation with a large than average garden to the rear. In brief the accommodation comprises of entrance hall, lounge with bay window, breakfast kitchen, ground floor family bathroom. To the first floor there are four bedrooms. There are gardens to the front and rear of the property with brick outhouses. Viewing recommended to appreciate the size of the accommodation on offer!! Single glazed wooden double doors to the front. Wooden door to the front, wooden flooring, radiator, under stairs storage cupboard. Double glazed uPVC bay window facing the front, radiator, television point, picture rail, electric fire with wooden surround, wooden flooring. Rolled edge work surface, built-in wall and base units with breakfast bar, one and a half bowl sink with drainer, electric double oven, with gas hob and overhead extractor, integrated dishwasher and fridge/freezer, wooden stable style door to the rear, double glazed uPVC window facing the rear, radiator. Low level WC, panelled bath with shower over the bath, pedestal wash basin, tiled floor, double glazed uPVC window facing the side, radiator. Loft access, double glazed window to the side. Double glazed uPVC window facing the front, electric fire with surround, picture rail and coving. Small walled garden to the front of the property with trees and shrubs. Generous sized rear garden which is mostly laid to lawn with a decked patio, two brick built out houses, one used as a laundry room with plumbing for washing machine and tumble dryer.